Throw a grrrific party for your little tiger’s birthday with these fun and simple Daniel Tiger-themed tips and tutorials. In the first video learn how to make a dessert table trolley and decorative pinwheel featuring your favorite characters from Daniel Tiger’s Neighborhood on PBS KIDS. Then find out how to make a Daniel Tiger finger puppet and trolley tea box favors. 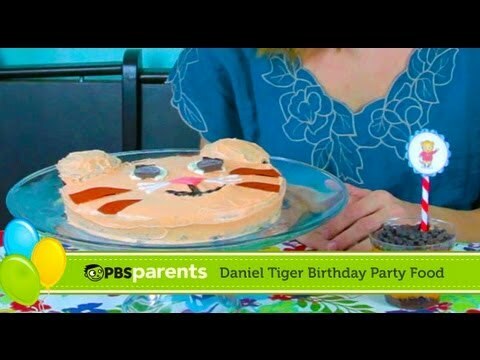 For party food, learn how to make a Daniel Tiger cake and Daniel Tiger stripe yogurt parfaits. The final video shows the party in action with all the elements pulled together.